Praise for journalist Rich Smith’s article on The Stranger, “Meet John Smelcer, Native American Literature’s ‘Living Con Job’”: a profile of a fiction writer who starting claiming a strong Alaskan Native identity as early as 1994 and then appears to have run with a twenty-five-year string of inflated credentials and biographical details so elaborate that the resulting tale itself should be up for an award. 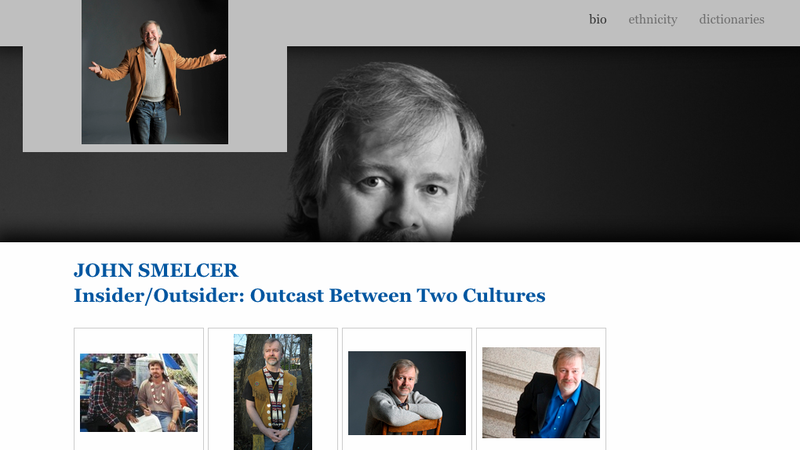 Today, out of three tabs on Smelcer’s site, one reads “ethnicity,” with a confusing rant about a vengeful professor who had wanted to get him fired, and goes on to provide extensive paperwork proving his heritage. At least one, claiming that “his Blood Quantum is 1/4 Alaska Native,” appears to have been forged, the supposed signatory tells Terese Marie Mailhot for the Los Angeles Times. Dr. John Smelcer pursued a largely subsistence lifestyle, something of which his grandmother was very proud. John always shared his moose meat and caribou meat and salmon with his grandmother and her older sister, Morrie Secondchief, both born in Tazlina Lake Village, which was abandoned long ago. They called John “Canaani,” which means “Him with Hunter’s Luck.” He frequently brought porcupine to Morrie’s husband, Joe Secondchief, who was one of those very rare elders who never learned to speak much English. When I tried to contact Smelcer directly through his website to ask about his Native status, his response to his critics, the New Yorker letter, the PhD from Oxford, the blurbs from dead people, the James Jones First Novel Fellowship that he still touted after it had been rescinded, and even the claim on his website that he had once personally discovered “a frozen wholly [sic] mammoth” while adventuring in Alaska, I learned that I needed to go through his agent, Johnny Savage. And guess what? Johnny Savage turns out to be a headshot of actor Ian Somerhalder from Lost. There is now an asterisk next to Stealing Indians on the PEN Literary Award site with a note indicating that the matter is being investigated. A stunning tale of pathos and conviction. He was so intrusive, he kept lobbying me to give him a blurb. And I basically gave him one just to get rid of him. I was very busy on tour, and unbeknownst to me, he put it on a new book he just published. I’ve written him multiple times for over a year to take my blurb off his publicity, and he wouldn’t do it. He uses all these famous dead people’s names. I never thought someone would be so brazen as to do something like that, but I thought, okay, I’m in good company!